Are you curious about how much French windows cost, and why they could be a great fit into your home? There are so many reasons why these windows make a great addition to any home, and this is where you can find out why! 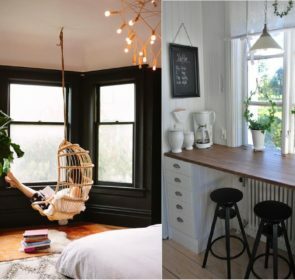 Plus some tips on how to save on your new French windows. Read our window prices article for general information on the price of new and replacement windows. Getting French windows installed can be expensive and stressful if you don’t find the right person for the job! Thankfully, by comparing as many quotes as possible you will find the company that is the perfect fit for you. Do this for free by entering some details here, and get up to 4 quotes. Comparing quotes will allow you to save money on this job, and you’re under no obligation to buy. 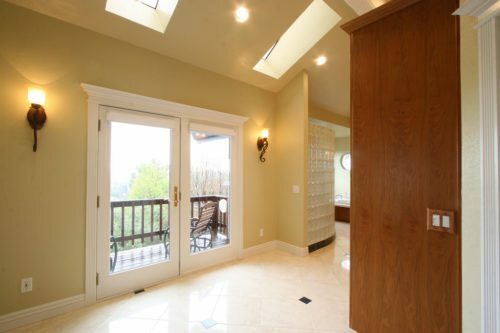 French windows are full-length windows – sometimes known as French doors – with very large glass panes. Sometimes the upper or lower parts aren’t glazed, but their signature style is that they are see-through for the most part. We differentiate French windows from patio doors or sliding doors in that French windows open inwards or outwards rather than having a sliding mechanism. They are hinged double doors, generally opening outwards. They offer great advantages for small homes since you can make the most of the entire opening rather than losing out on half of that space with sliding doors. Often people wonder whether French windows are secure – and while this is a legitimate concern for any openings you are installing on your home, rest assured that modern models are security-tested. Look out for 3 or 5 point locks to lock the doors and frames together. Ask your French window provider if they come with opening restrictors – keeping the frames from flying open in high winds. If not, find some yourself and save hassle down the line! These can be put in place by yourself or may require professional help depending on the product you choose. Why are they called French windows? Is it because they’re French? Well… Kind of! But if you’re more curious about their history, here is a little tidbit. French windows can find their roots in 16th and 17th century France when the country was at war with Italy. This lead to some cultural mixing with the French bringing Renaissance architecture back home with them. They found that mixing a window and a door brought more light into an otherwise unilluminated and, frankly, gloomy home. Not only that, but they provide an elegant and beautiful addition to a modest home. So yes, we got them from the French, who got them from the Italians! Traditionally, French windows were made of wood and wrought iron (as was more common centuries ago), but now we can buy them in all sorts of materials. uPVC is a popular affordable option, but French windows can be styled for all sorts of homes ranging from modern to bohemian and beyond! 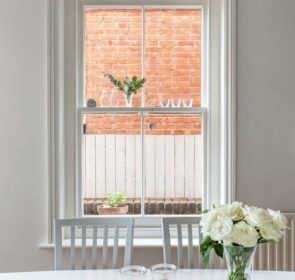 Have you been considering investing in a set of French windows for yourself, but are not totally convinced that they’re right for you? Here are just some reasons why people all over the world choose these beautiful additions to their home. This is a huge one for those of us wanting to take advantage of the outdoors as much as the interior of their home. Bring the outdoors inside very easily by opening up your French windows. 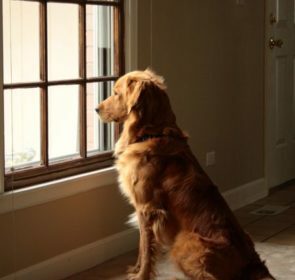 You will not only enjoy fresh air and a view to the outside when they are open, but you will benefit from increased light and warmth on the days you’d rather keep them shut. They can give out onto a patio, decking, balcony or front porch, increasing the space available for you to enjoy your home. French windows also allow you better access to your outside places, allowing you to move bigger things in and out of your home. They will allow you to have more al fresco dinners and to spend more time outdoors which will greatly increase your wellbeing, happiness and satisfaction with your home. French windows allow much more light to flow into your home than traditional Georgian windows for instance. This may mean that you spend less money on heating in the winter. Your home could benefit even more if you have some older windows. You can convert these to new, more modern French windows since they will probably be a lot more efficient. The design of French windows increases air retention over sliding doors, for instance, so you will lose less heat overall. In the summer, you will find it easy and enjoyable to ventilate when you open your grand French windows. In this way you could save on electricity you would have otherwise used on fans or air conditioning. One of the main benefits of having French windows, of course, is their dramatic impact on a home. They connect interior to exterior and allow for more light to flow in. 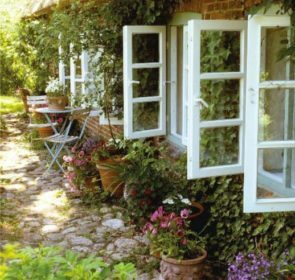 French windows also make the view of your garden part of your everyday experience. Nothing warms the interior of a home like natural light, and adding French windows means increasing the light potential a lot. Open and closed, French windows allow for revitalising natural light, and are a great choice for gloomy spaces. You will also be able to decide on the style of your French windows, so how they look is up to you! Not only do French windows allow for better access and add beauty to your home, they also increase the value of your home. This is especially true when you choose higher-end models in sought-after materials like hardwood. These, in particular, bring life to a home and would seal the deal for a potential buyer. You can outline the benefits of additional light, better access and improved aesthetics that this beautiful feature brings. You can choose construction materials that consist of an affordable material like uPVC. uPVC French windows provide a low-maintenance and low-cost alternative that remains attractive. They represent a durable, secure and energy-efficient opening with so many other benefits to attract potential buyers. Such a significant investment needn’t break the bank. Find local providers and compare their quotes, as they may be more competitive than big national companies. Get up to 4 quotes from local providers super easily and for free! Enter some information into our secure e-form and you will be able to compare quotes at your leisure. You don’t have to buy, so this will be of benefit to you even if you haven’t decided yet.